Located in the heart of Manhattan's financial district, the Federal Reserve Bank of New York offers free tours to visitors. 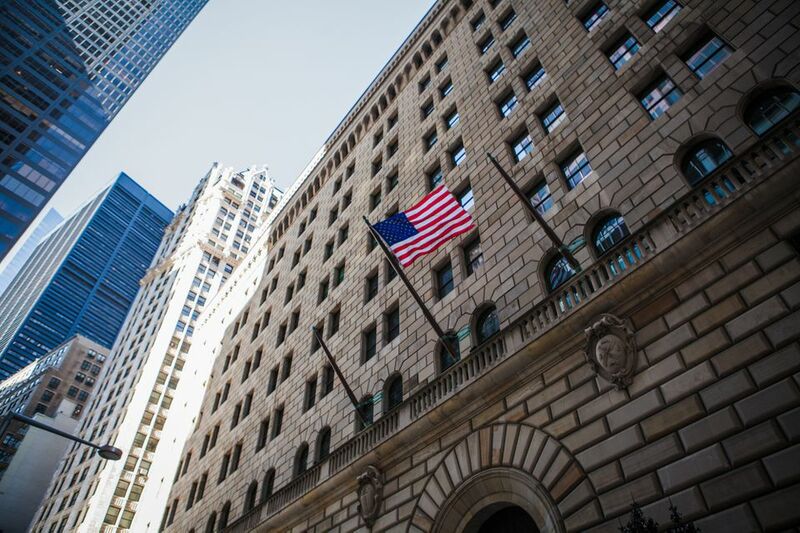 The tours include an introduction to the banking system of the United States and the role of "The Fed" in the U.S. economy, as well as a chance to visit the Gold Vault located five stories below street level. The building itself is impressive, combining detailed wrought ironwork with features from the Renaissance palaces of Florence. The Federal Reserve Bank of New York is one of 12 regional banks in the Federal Reserve System. Located in Manhattan's financial district, free tours of the Federal Reserve Bank of New York offer visitors the unique opportunity to view the Gold Vault, as well as a chance to learn more about the Federal Reserve System and its role in the U.S. economy. After clearing security, our bags were secured in a locker and we were given time to explore "Drachmas, Doubloons and Dollars: The History of Money." The exhibition featured over 800 coins from the American Numismatic Society's collection, spanning over 3000 years. Especially interesting is the 1933 Double Eagle coin on display: with a face value of $20, it was sold at auction for over $7 million dollars. The tour guide then leads you through some interactive exhibits--including a gold bar that appears to be within reach and a display of shredded $100 bills. Teens can learn a lot about the U.S. economy and how money is made, as well as the Federal Reserve System by exploring these displays. Since the Federal Reserve Bank of New York doesn't do cash processing in Manhattan, there is a short video that illustrates how cash is processed at the Federal Reserve, as well as how new currency is introduced into circulation and older bills are destroyed. The highlight of the visit is descending five stories below street level to see the Gold Vault. You will be surprised to discover that nearly all the gold at the bank is actually owned by foreign central banks and international monetary institutions. On the tour, it's easy to forget to look around to observe the beautiful architecture of the bank. So be sure to take some time to notice the elements of the building that were inspired by the Renaissance palaces of Florence and the wrought ironwork. Reservations are essential for taking a tour of the Federal Reserve Bank of New York Visitors without a reservation can check out the museum, but won't be able to see the vault. Reservations can be made online. If you have questions, contact them by email (frbnytours@ny.frb.org) or phone 212-720-6130 for immediate information about availability. There is typically a 3-4 week wait for tickets, so call once you've finalized your travel dates to secure your tickets. Tours last approximately an hour and begin on the hour from 9:30 a.m. - 3:30 p.m. daily. No note taking or photographs are allowed during the tour. Hours: open Monday-Friday except bank holidays; public access only with tour reservations. Admission: Admission is free, but you must reserve at least five business days in advance.